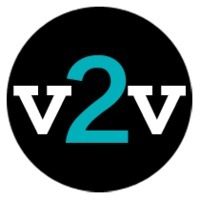 Volume2Volume is an audio visual agency that builds brand awareness, customer loyalty and boosts sales. Our work has been broadcast in over 107 countries, to an audience of over 50 million. Whether you’re creating sound and pictures for the retail environment, product information for mobile commerce, making ads, web videos or recording compelling on-hold messaging, our experienced team can deliver exciting and pragmatic solutions. You can enjoy access to your own dedicated online workspace available 24 hours a day, 7 days a week from anywhere, anytime. With v2v you enjoy the convenience of having all your audio visual services under one roof. We’ll help you to develop a consistent ‘house style’ and a cohesive brand identity defined in film and audio. We have access to a bank of top voiceovers, and work with experienced on-site producers to create the best audio visual package for your business. v2v excels in working with clients in creating clear audio visual strategies for content marketing that get results. We work with you to plan a content marketing strategy that complements your existing marketing and social media plan. If you need to plan ahead - a month, a quarter, a year or longer - we can help. Listen to our recent audio showreel.